Foundation Coaching Group is a full service life enriching, Life Coaching source. With over 50 unique services, our Coaches range expertise from fitness, health, relationships, communication, legal / mediation, family blending to career transition. We’ve got coaches for virtually every area of interest a client might seek. Coaching is for those who are dedicated to living their best life and overcoming the obstacles and barriers that keep them from it. Our clients are those who brave the tough work push through to find solutions no matter how difficult. 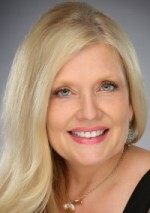 Our company was founded by Dana Heartman in 1999 and we serve clients nationwide. Our offices are warm and inviting for those who are local and we also offer phone and video conferencing a for clients who live further away.